Get a Clue Corporate America! With the recent spate of executives merging, acquiring, downsizing and closing companies for their own financial benefit, and often under the guise of “cost savings synergies,” it’s quite apparent that ethical leadership training is more necessary than ever. Justifying their behavior because they think that “those lowly employees we have on staff” will find a job since it is a good economy is ridiculous and foolhardy. Their lack of compassion and foresight will ultimately mean more dissatisfied employees and an increase in those thinking Corporate America is devoid of any principles. 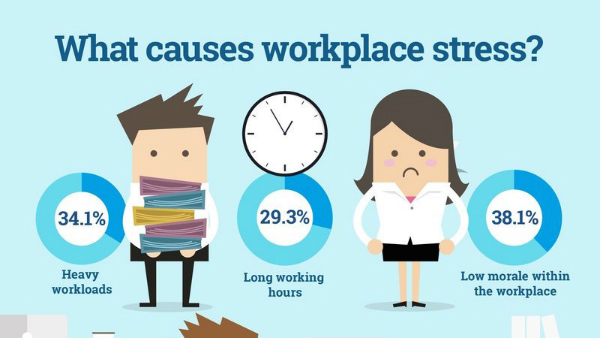 No wonder our workforce is overworked and over-stressed! Many a high paid corporate executive has sold their soul and become like the Robber Barron’s of the 1890’s, using questionable methods, nepotism, and creating monopolies to accumulate wealth while leaving staff members miserable or unemployed. We, as a society, have passively acquiesced to this treatment and it is time we stop putting up with the abuse. Certainly ample ethical leadership training will help those who are starting on their leadership journey. However, making sure those that are currently causing these problems have a bright light of shame shone on them will be necessary to curb the issues in the here and now. Get a clue Corporate America or you won’t have a glowing financial report to fret over anymore, talented employees will just leave you and your company in the dust, and ultimately to fail. Advertised positions constitute a small percentage of the jobs that are available at any given time. Because running ads and screening the high volume of applications that come in can be an expensive and time-consuming process for employers, many companies prefer to hire from within or to hire individuals who have been recommended by one of their existing employees. To find out about unadvertised opportunities, you will want to let people know that you are looking for work, and the type of job and company you are most interested in. Tap your personal network – friends, relatives, neighbors, former employers and colleagues, fellow members of your chosen religious institution, volunteer associations, clubs and other organizations, even your doctor, dentist, and other people you talk to from time to time. Most people know at least 200 other people, so just because someone doesn’t work in your industry doesn’t mean that he or she doesn’t know of someone who does. Many teenagers and young adults get their first jobs through connections, such as parents, teachers, siblings, friends, parents of friends, relatives, neighbors, or coaches. This tactic can work for you too! Some businesses, particularly in the retail and restaurant industries, rarely advertise jobs because they receive so many applications on a regular basis that they are able to select people to interview from the applications they have on file. Job fairs can be an excellent venue for meeting a large number of potential employers at one time and to network with other attendees. Go to every booth and network with the recruiters and those standing in line, since each one of the recruiters attending may know of positions within and outside their company, and each attendee may know of companies hiring. Some organizations attend these events or hold their own job fair in order to collect a large number of resumes they can refer to when a position becomes vacant, not for immediate employment. 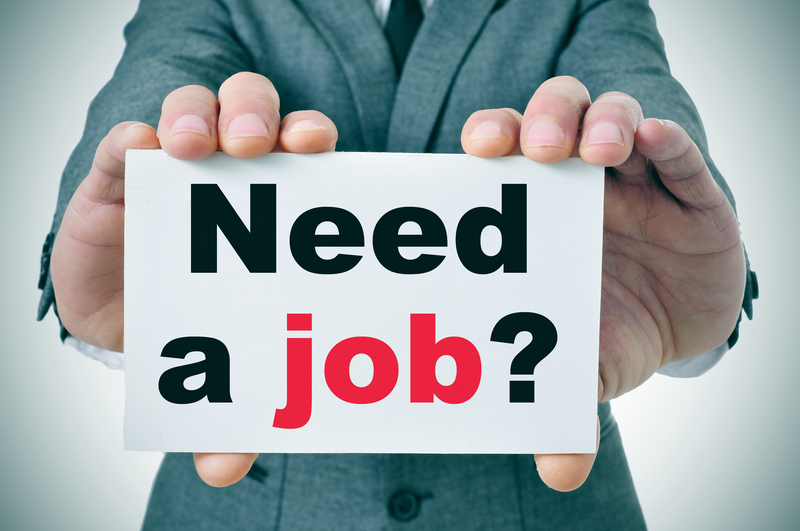 If you’re unemployed, find out what programs and services are available in your community. The staffs of these organizations usually have good employer contacts, and sometimes employers can receive a wage subsidy or other benefit by hiring someone through such a program. Karen Silins is a multi-certified resume writer, career, business and personal branding coach working with individuals and small businesses. After graduating with degrees in education and vocal performance, she made her own career transition into the Human Resources realm. Karen left Human Resources to become an entrepreneur and help jobseekers and fellow entrepreneurs achieve their goals. She keeps current regarding trends in the resume writing, coaching, HR, small business and marketing industries by working daily with individual clients on resume development and career coaching, consulting for small businesses in business plan development, marketing, hiring and overall HR processes, and providing 50-70+ seminars and workshops annually to a variety of organizations in the greater Kansas City area. She can be reached via her website at www.careerandresume.com. Janet Barclay is a former employment counselor who helps career practitioners and other solopreneurs to maximize their online presence by creating websites and blogs as well as providing blog promotion, proofreading and editing, content management, and WordPress technical support services. She can be reached through her website OrganizedAssistant.com. Many jobseekers struggle with keeping a schedule and maintaining a healthy mental and physical lifestyle during a job loss. Today I would like to offer a few tips to help those who are struggling after their loss. Tip #1: Get to bed at a reasonable time and get up early like you already have a new job – EVERY DAY! One of the biggest struggles unemployed jobseekers tell me about is having a regular schedule for sleep. Letting your sleep habits get out of whack and create additional fatigue and stress for you is a bad idea. Go to bed by 11:00 PM each evening, and make sure that two to three hours before you go to bed you are off all cell phone, computer, and tablet media (which can keep your brain awake for hours after you quit). That means, no video games, no looking at Facebook or Twitter feeds, no doing research or searching for jobs after about 8:00 PM in the evening. I also recommend getting up sometime around 6:00 AM to 7:00 AM daily. Keeping a work-life routine and being rested will help your search, your attitude, and your interviewing! Tip #2: Get dressed daily! So many jobseekers seem to sit around in their PJ’s all day while doing a job search. This makes it too easy not to shower, to stay home instead of networking, and to be in an overly casual mode that breeds a casual and lackadaisical job search. Get dressed every day just like you would if you were going to work – except in this case you can definitely do “jeans day” most days. You will feel better, you will be cleaner, and it will again help your attitude. Tip #3: The Honey-Do List! I call this the Honey-Don’t List – hello jobseeker spouses and significant others – please don’t give the jobseekers a list of things you want them to do all day and then come home asking them why they don’t have a job yet. 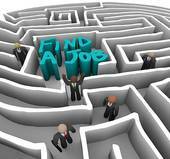 Just like any work, a job search is a job in and of itself. A jobseeker needs uninterrupted time during the day of at least five to six hours to search and apply for jobs, go to networking events, maintain their LinkedIn and other social media for a job search, personalize their resume and cover letter to different job ads, do phone interviews, prepare for in-person interviews, and make follow up calls. And that is just to start!!! Any of your Honey-Do List can be done on nights and weekends just like they would if your spouse or significant other is working a traditional job. Let them do their job search during the day. Yes, you the jobseeker will need to push back at that list and make sure those things are done during off-job search times, but that doesn’t mean you don’t do them at all – a handy little piece of advice from someone who has been happily married for nearly 26 years. Tip #4: Take the weekend off! Your job search should be done during the weekdays so you can take the weekend off and have time with your family, to do some of that Honey-Do List, go to a religious service, and to enjoy your life. Trying to do your job search seven days a week will only result in one thing – burn out. Unfortunately that burn out will result in you effectively quitting your search or performing it haphazardly at best. Tip #5: Don’t spend all of your time just applying for jobs online! –Networking (online and in-person) and maintaining ongoing, active, and professional social media. –Going to local free seminars at your library about interviewing or networking. –Scheduling lunches and coffees with networking contacts. 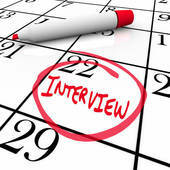 –Preparing for phone and in-person interviews. –Going out and applying for stop-gap jobs if the money is running out at Home Depot, Bed, Bath & Beyond, Barnes & Noble, your local grocery, or other similar venues, etc. Just sitting at your computer and applying for jobs hour after hour will have the same result as trying to search for a job seven days a week – burn out. Get out of your house and away from your computer one day week for at least four hours and help someone else. Whether you volunteer at the local Habitat for Humanity Restore Store (a favorite of my clients), Catholic Charities, a local hospital, or a soup kitchen, you will be rewarded in many ways well beyond time away from the house. First, you take this volunteer work (needs to be at least four hours a week for most organizations to provide you a recommendation/reference) and use it as a current job on your resume – now you have something listed “to present” on that document. Be honest and say you are a Volunteer Customer Service Rep, or Soup Kitchen Volunteer, but show that “job” on your resume with one bullet point that describes the work you perform. Remember, work is work whether you get paid for it or not. Volunteering also shows Human Resources or the Hiring Manager that you aren’t sitting home all day watching television and taking naps. Second, the time spent helping others will help you to feel better about your situation and give you incredible fulfillment in knowing you are making someone else’s life a little brighter or easier. Tip #7: Keep your social media posts professional! You may be very mad at your former company or a particular employee, or one of your “friends” may have an opinion you find atrocious, but do not respond negatively in any way. One of the biggest issues for jobseekers is having their social media posts, including pictures, come back to haunt them in a job search. Go back through your social media and delete those things that are inappropriate and avoid them going forward. Your social media is NOT PRIVATE, no matter what the privacy setting is, and you risk losing a great job by thinking no one can see your activity. Be smart and keep your posts on the professional level. Tip #8: Schedule your day! This is my last tip for taking care of you during a job search. If you don’t have a schedule, you will just do a willy-nilly search for couple of hours, maybe applying for a job or two, and spend the rest of your day watching television, mowing the lawn, doing dishes, but not doing your search. From setting a clock to keep you timely in various tasks, to making sure you get a lunch, each day should have an overall schedule. Yes, you will need flexibility, especially in those online applications which can take from one-half hour to almost two hours to complete, but that schedule will help you get a great deal done every day. Additionally, you will receive a great deal of satisfaction in crossing off each to-do item. So, take care of yourself throughout the job search and your job search will take care of you. Many job search blessings! Get out and volunteer if you are out of work, working part time or are underemployed. Besides helping you to feel better about your situation, show HR and Hiring Managers that you are willing to get out and work, even if it is unpaid work. Furthermore, a regular volunteer opportunity (at least once a week for at least four hours a week) can be added to your resume as a current job, with “Volunteer” as the job title (typically with no more than one bullet point of description). Remember, work is work, whether you get paid for it or not! Common Question Asked by Jobseekers: Do you see any red flags that would prevent me from being the perfect candidate for this position? I advise those I train in interviewing skills NOT to ask the above question. Why you might ask? Because after having what is most likely a great interview, the last thing you want to do is ask the interviewer to find something negative about you. All the positive you have just accrued in the interview goes out the door, as people will typically remember a negative aspect much longer than a positive. If the interviewer wants to know more about your skills, abilities and overall qualifications they will ask. I am often asked about book recommendations regarding personal branding and marketing for jobseekers and business owners, so here are four to consider. I am definitely a fan of the most updated versions of “ME 2.0, 4 Steps to Building Your Future” by Dan Schawbel, “To Sell is Human” by Daniel Pink, “101 Strategic, Job Search Marketing Steps: The Helpful Checklist-Guide to All Things Considered Workforce Readiness and Social Media Smart” by Lenora M. Johnson, CPRW, and “Do It! Marketing: 77 Instant-Action Ideas to Boost Sales, Maximize Profits, and Crush Your Competition.” These books can help anyone get started in personal branding, including sales (you are selling as a jobseeker or business owner), social media, blogging, podcasting and the many jobseeker or business marketing options available through the Internet and your daily activities. Each book discusses integrated strategies to help those interested in personal branding for career or business success. Yes, some of these books are more targeted towards someone in a job search, and some are more focused on business ownership, and yet, the strategies and tactics generally apply to both audiences. With today’s jobseeker and small business needs being so similar, i.e. Marketing and Personal Branding, the advice offered in the aforementioned books can be easily adapted to either type of individual. While there are a plethora of books that teach personal branding and marketing principles, I find these four to be particularly straightforward for the average reader, and the type of books where you can read just a few pages at a time and still receive benefit. Thus, these books are ideal for today’s busy lifestyle. Whether my clients are discussing their frustrations with the current job search environment, or seminar, workshop and career fair attendees are venting, some complaints remain constant, and one of those complaints is “why are companies wasting my time?” I know organizations are busier than ever, and employee and management hours have increased, but if you are going to take the time to write a job ad, put that ad on your website, job board, LinkedIn, Twitter, etc., or gather referrals from employees, seek out retained recruitment firms, or publicize it in any way that includes collecting resumes – then review the resumes, do interviews and hire someone!!! Would you like to know why jobseekers call and “bother” you about your job openings? It’s rarely the common assumption of desperation or anxiety issues – it’s because they receive no answers and would like to know something… anything. This is both a lack of decision-making and a disregard for jobseeker time and energy by the organizations that put these ads out there and then don’t follow through. I literally just received a call from one of my clients about a local organization which put an ad on their site for a specific job months ago. This particular job is a great fit for my clients’ experience, but they can’t even get a group of employees together to review resumes to set interviews. My client is careful about NOT bugging them, only calling every few weeks to check on the progress, but this client also needs to change their focus on this organization if the job is filled or the interview process has already started. And let’s not even get started on companies refusing to let jobseekers know by a simple email if a job has been filled for which they applied. Hiring Managers, HR Managers and Recruiters tell me that they are annoyed by jobseekers calling to check on whether jobs are filled – well right back at you ladies and gentlemen. Having pointedly called you out, please don’t think I am unsympathetic to your plight. As anyone who reads my blog, LinkedIn profile, Twitter, Google+ and Facebook posts, goes to my seminars, etc., knows, I’m a former HR Director. Our company never put an ad out that didn’t include evaluation of resumes (and this was pre-ATS or Applicant Tracking System, for the company), interviews and then hiring someone within a reasonable amount of time (weeks, not months)! Furthermore, I am still involved in HR, advising organizations to facilitate their job search process, including interview and selection of candidates, so I am keenly aware of the issues around job search, the ATS systems, and time limitations. You’re crazy busy, I understand, but you’re contributing to the very issue you complain about consistently. Processes must be established to help eliminate this problem, making your job easier and offering the due respect that jobseekers deserve. If a jobseeker spends what can be an hour or more to fill out all of your ATS system requirements, and expend time and energy to personalize their resume and cover letter, shouldn’t you offer them the respect of completing the job search process in a realistic time period. Shouldn’t you follow up and let them know the outcome with a “Dear John” email if they aren’t selected for interview. Every company I have assisted in the job search process knows up front that this will be how their process will progress – no stalling, no excuses, no posting of fake jobs or jobs for which you don’t have permission to hire yet, no complaining about jobseekers checking on interview and hiring status, and… a follow up email will go to all candidates who applied regardless of receiving an interview. I will even help the company craft a simple email template that can be sent to all candidates not selected for the available position (interview or no interview). This isn’t rocket science and the disrespect shown is costing you good candidates. Applicants talk to other potential applicants and do tell them how shabbily they were treated. The ill-treatment of jobseekers reflects on your company poorly, and this information gets passed around to others, and many of those jobseekers may choose not to apply to your company. I hear candidates talking about this at career fairs all the time, and the other jobseekers often say they won’t consider that organization anymore because it is most likely symptomatic of the overall treatment of employees. While you grumble that you cannot find qualified applicants, some of those qualified jobseekers have decided your company isn’t worth the time for an application – as their time will be wasted with a litany of excuses, you will simply ignore them, or won’t treat them appropriately as employees. 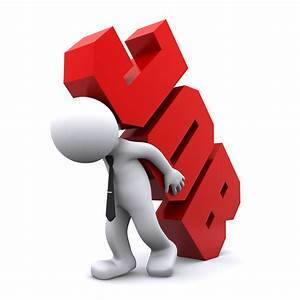 Despite the fact most jobseekers worry a great deal about finding a position, people will only put up with so much before they don’t apply to your job postings any longer or never apply in the first place. –Don’t put out any ad for an employee without a plan for reviewing of resumes, holding interviews and making a hiring decision within a realistic period of time – meaning one to three months at the most. –Do make your ATS system user friendly and stop asking so many questions that tell you very little to nothing. Instead, ask three or four specific questions that will give you real information about candidate qualifications for the actual job along with having them attach a resume AND cover letter. –Do send candidates who don’t make the interview cut and those that do but aren’t your chosen hire a simple email or letter stating that you have “gone in another direction,” decided on another candidate with more experience,” etc. 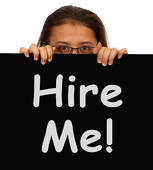 –Answer the phone or call back those that contact you when you are slow to interview and hire. All you have to say is you will send them an email or letter if they aren’t selected and call them directly if they are chosen to interview. Simplify the hiring process by following the above suggestions. My corporate clients do, and there are zero complaints. Candidates have even sent them thank you letters or left thank you phone messages for actually responding so their job search time can be spent wisely. Ultimately the respect you show a potential employee will pay huge dividends far beyond that individual’s experience and your time spent ensuring a quality outcome. I am often asked by clients, seminar and workshop attendees and colleagues to recommend websites to bolster professional development, career and networking/business opportunities. With the myriad of sites available on the Internet, culling the herd can be exhausting and time consuming. My recommendations will come in blog posts over the upcoming months in three subject areas: professional development sites for clients/jobseekers and colleagues, informational sites to keep up on the industry (more colleague focused), and social networking sites-why you need to be on them! Today I start with two great sites for professional development, particularly for those that are unemployed, underemployed, or lack professional development opportunities in their current career. The American Management Association has wonderful free training for both jobseekers and industry professionals. AMA may have determined that the paid memberships, while practical, left out segments of the population they felt were important: the unemployed, underemployed and underpaid. With large scale, multi-day training programs and memberships often unfeasible for these target groups, what could they do to help? Offer a free membership and free and low-cost training options. AMA creates brand ambassadors who, when gainfully employed or in a better financial situation, most likely take advantage of their paid training opportunities. Furthermore, these individuals would share AMA programs with their new employers – extending the organizations influence, and filling training and development niches and gaps for these companies. You can join by going to the MYAMA tab on the far right hand side of the page. 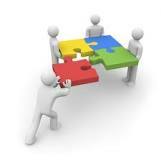 Once you are a member go to the INDIVIDUALS tab and click on WEB EVENTS, PODCASTS or ARTICLES AND WHITE PAPERS. You can then take advantage of the free Webcasts, paid Webinars, free Podcasts, and free Articles and White Papers, which they have catalogued for members, and divided into various sections including Business Enhancement Skills, Communication Skills, Human Resources, Finance and Accounting, Sales and Project Management (to name a few). Each Webcast lasts about an hour, each Podcast lasts approximately one-half hour and both are well worth your time. Attention: Webcasts are free, Webinars are NOT – but are worth the price! Be sure to stay on the Webcasts unless you want to attend paid web events. AMA also has a job board aimed at management positions, free monthly newsletters, events calendar, a LinkedIn group, and areas of the site devoted to government and enterprise-wide training needs for organizations. The site is consistently updated with great content and navigation is straightforward. This one should be a no-brainer for anyone in the Human Resources, Recruiting or Resume Writing and Career Coaching industry. You can keep up with HR trends in hiring, recruiting, interviewing, salary negotiation, and any issues jobseekers and employees/employers face. One caveat – the site seems to want a company email address and not a Yahoo, Hotmail, etc., personal email account, I am hoping this changes (or has recently changed). My colleagues HR, Management and Training and Development clients will find this site useful as well. Free webcasts are the attraction, and although they have paid levels of membership I have had a free membership for over six years with no issues. Not only will jobseekers and industry professionals have access to new webcasts for free, there is a catalog of 1,500+ archived webcasts that you can access by going to the Webcasts and Events tab, then clicking on the drop down menu where it says Webcasts and the sub-menu on Archived Webcasts and Podcasts. You have access to recent and upcoming webcasts (upcoming webcasts are also featured on the Home Page), often PowerPoint slides or accompanying presentations, and the recordings of the all the older webcasts. Bonus: Each one-hour webcast or archived webcast can be submitted to qualify for HR Certification Institute recertification credits. Additional benefits include Virtual Conferences, a variety of HR Communities to join with topical blogs, free compliance forms, an HR Wiki, a LinkedIn group, and certification opportunities. The site is well-maintained, and easily navigated. Too many articles are currently talking about the talent shortage, but the sad thing is many of these companies that say they have difficulty finding good candidates are discriminating against the unemployed, sometimes those with as little as one month of unemployment. I highly encourage organizations to take a hard look at their system if they are taking the unemployed out of consideration, regardless of whether it is one month or one year of unemployment. These are often highly skilled workers who would be valuable, diligent and loyal employees, if someone would give them a chance.